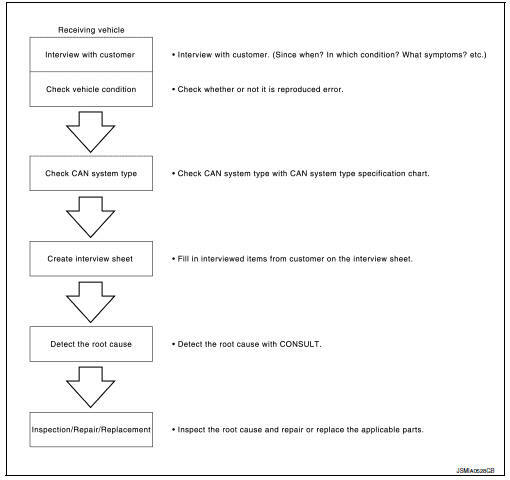 Interview with the customer is important to detect the root cause of can communication system errors and to understand vehicle condition and symptoms for proper trouble diagnosis. Check normal units as well as error symptoms. Example: Circuit between ECM and the combination meter is judged normal if the customer indicates tachometer functions normally. When a can communication system error is present, multiple control units may malfunction or go into failsafe mode. Indication of the combination meter is important to detect the root cause because it is the most obvious to the customer, and it performs CAN communication with many units. Check whether the symptom is reproduced or not. Do not turn the ignition switch off or disconnect the battery cable while reproducing the error. The error may temporarily correct itself, making it difficult to determine the root cause. 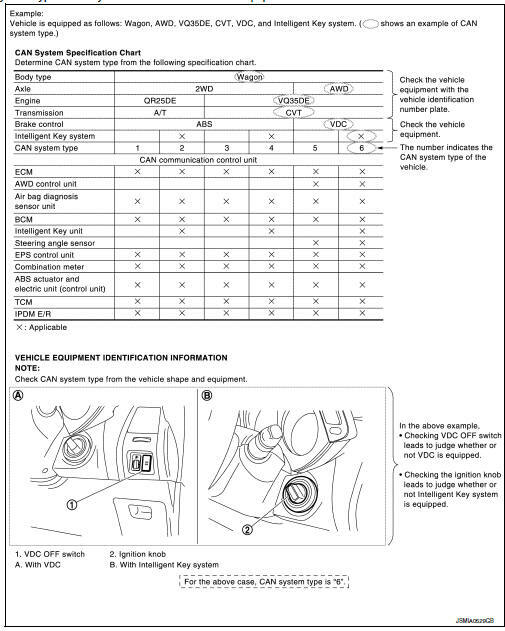 Determine can system type based on vehicle equipment. This chart is used if consult does not automatically recognize can system type. There are two styles for can system type specification charts. Depending on the number of available system types, either style a or style b may be used. 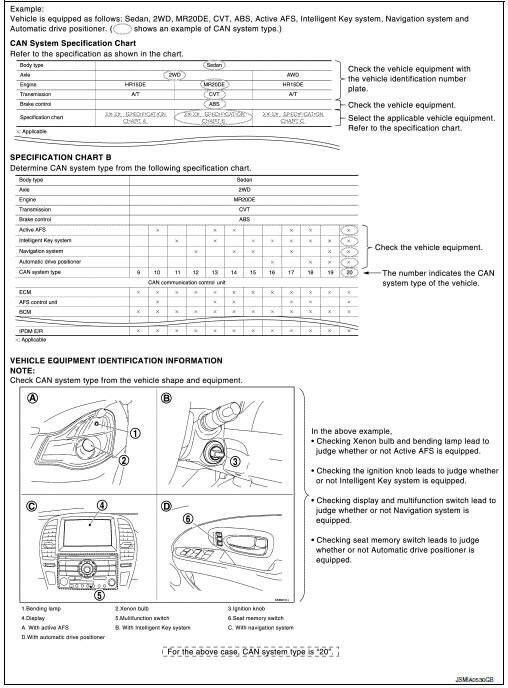 Can system type is easily checked with the vehicle equipment identification information shown in the chart. 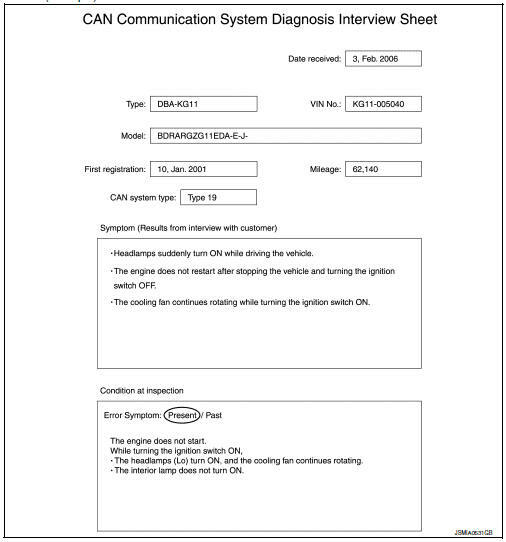 Fill out the symptom described by the customer, vehicle condition, and can system type on the interview sheet. Can diagnosis function of consult detects the root cause.